Realtors, Do You Know How To Tell A Service Animal From A Pet? You are showing the perfect condominium to the perfect couple and you’re just about to sign the deal. During the closing, the couple notices that the leasing agreement says, under no circumstances are pets allowed. The couple says, “but Alphi is a service dog. No Alphi, No Deal!” What do you do? The first step in determining if the Condominium Association must allow Alphi to stay is to establish if the animal is truly a “service animal”. According to ADA Standards, a service animal is any dog that is individually trained to do work or perform tasks for the benefit of an individual with a disability, including a physical, sensory, psychiatric, intellectual, or other mental disability. Other species of animals, whether wild or domestic, trained or untrained, are not considered to be service animals. Service dogs can accomplish pretty amazing heroics on a daily basis: detecting seizures before they occur, toting oxygen tanks for victims of COPD, or tasks as simple as retrieving keys from a hook. Service dogs are not pets! Realtors and “public accommodation” representatives are NOT allowed to ask about the nature or extent of a person’s disability, or even require documentation such as proof that the animal has been certified, trained or licensed as a service animal. They are not even allowed to ask the above two questions if the disability is readily apparent, such as a Seeing Eye dog. Does the person have a disability? Is there a disability-related need for the assistance animal? If the answer is “no,” the request may be denied. If the answer is “yes,” the landlord must honor the request, unless it creates an undue financial burden or if the animal poses a direct threat to the health or safety of others. The tenant may be required to provide a letter from a health professional supporting the need and also may be required to repair damages caused by the animal. 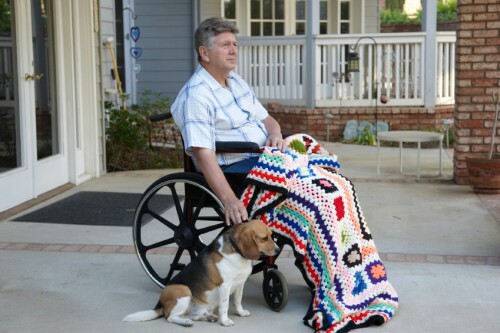 The landlord cannot charge a “pet deposit” or higher rent for the assistance animal. Real Estate Training Institute hopes that you found this information helpful. Be sure to check out our social media sites and blog posts for more articles.